Two wheel trailer for general farm use. The trailers are fitted with drop sides. 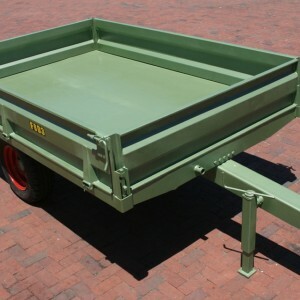 The trailer is available in a 3 ton Standard and 3 ton Economical plus a 5 ton Standard and 5 ton Economical. Fix draw bar on economical and adjustable draw bar on Standard trailer.